The Royal Lemon Balms – Beauty Tea | r.l. linden & co.
A lemony, green infusion with floral undertones that brightens even the gloomiest of moods. 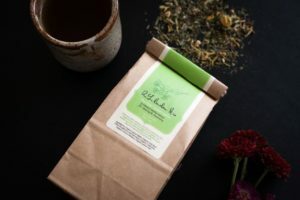 This herbal cup of sunshine doubles as an effective facial steam for oily and acne prone skin. To Sip: Pour 1 cup of boiling water over one tablespoon of tea, steep for 5-15 minutes, strain, sweeten if desired, enjoy hot or iced.